On a tiny snowflake floating through the air, exists the town of Who-ville, home of the Whos. The town is joyously preparing for the coming of Christmas. However, of all the Whose, a little girl named Cindy Lou Who is feeling depressed, and not at all in the holiday spirit. When her brother and his friends return from climbing Mt Crumpit and claim they saw the Grinch, Cindy Lou grows curious as to the Grinch, who she learns does not like Christmas. While in the Post Office with her Father, Cindy takes some mail to a backroom, and finds the Grinch trying to cause havoc in the mail room. The Grinch scares her, and causes Cindy to fall into the mail sorting machine. To her surprise, the Grinch rescues her. Cindy then decides to investigate more into the Grinch's past, and interviews several people, including two elderly women who cared for the Grinch, as well as town socialite Margaret May-Who and the Mayor, both of whom were classmates with the Grinch. From the information she collects, the Grinch as a child actually liked Christmas, and even had a crush on Margaret. However, the Mayor as a child, taunted the Grinch about this. 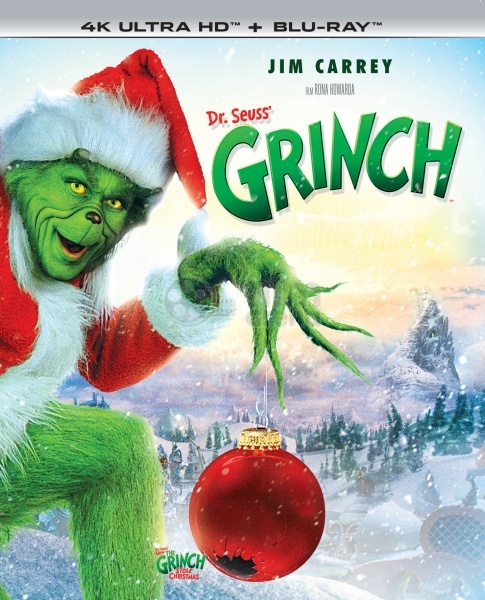 The Grinch tries to create a hand-made present for Margaret and shave off his facial hair, but the bad shaving job causes the class to laugh at him, finally causing him to hate Christmas. After that, he ran away to Mt Crumpit. As Christmas approaches, the Mayor announces the upcoming Who-bilation, where the town nominates a Cheer Meister. While the Mayor looks forward to another unanimous vote for himself, Cindy requests that they nominate the Grinch, feeling he deserves it the most. With enough votes, Cindy gets the Grinch a nomination, and climbs up Mt Crumpit to deliver it to him. The Grinch does not believe her at first, but reconsiders when he finds out he'll be receiving an award, and that Margaret May-Who will be attending. The Grinch agonizes over the decision to attend (partly believing this is a trick), before appearing to the Who's. While at first apprehensive, the Grinch appears to be getting into the Christmas spirit, until the Mayor proposes to Martha May-Who, and offers her a car. The ostentatious gift rouses the ire of the Grinch, and he then begins to wreck the celebration, causing mayhem and burning down the Christmas tree. Cindy feels terrible that her plan to make the Grinch feel better has been ruined, and the Grinch returns to Mt Crumpit. The Grinch feeling worse then ever, decides that this year, he'll stop Christmas from coming, by dressing as Santa, and stealing it. Fashioning a sled, he and his dog Max return to Who-Ville, and make off with all the gifts and festive trimmings. Taking everything to the top of Mt Crumpit, he plans to drop it all over the edge. Back in Who-ville, everyone is sad and distraught, with the Mayor blaming the whole thing on Cindy for inviting the Grinch. Cindy's father proclaims that he actually is proud of his daughter, because he's seen that Christmas is not about presents and decorations, but about being together. Soon a number of other Who's join in and begin singing. This sound causes the Grinch to pause, wondering how they can be so cheerful. As he watches, the emotion gets to him, and his once shrivelled heart grows 3 sizes. The Grinch then returns the presents to Who-ville, and apologizes for his misdeed. At the same time, Margaret May-Who tells the Mayor she is rejecting his marriage proposal, and that her heart belongs to the Grinch. In the closing of the film, the town feast is held, with the Grinch carving the Roast Beast.